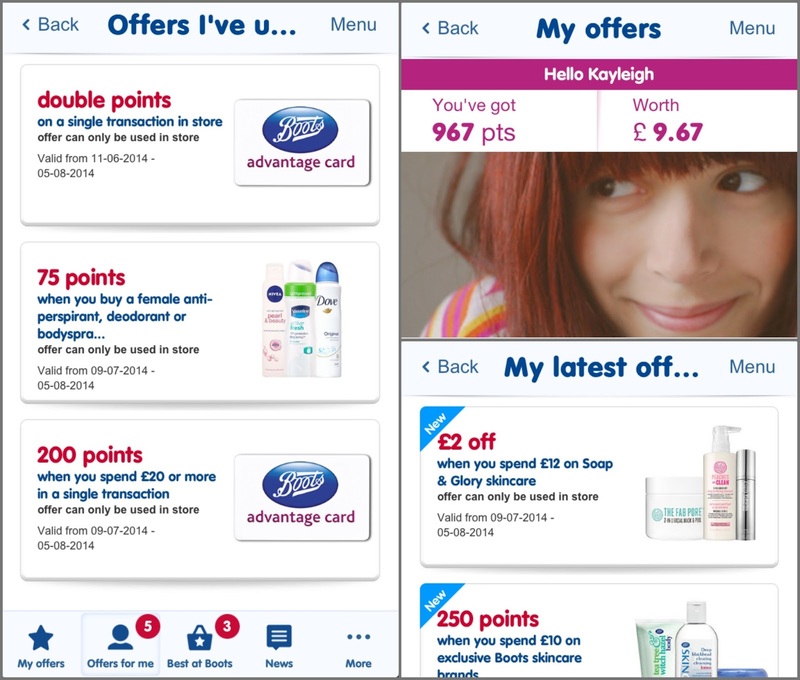 As a long time lover of Boots beauty shopping, I was incredibly excited when they contacted me to say they've recently launched a new app that goes alongside their wonderful advantage card to bring Boots customers even more amazing offers than before. They'll still be sending their vouchers through the post throughout the year but now you can get even more great deals with the click of a button - there's everything from personalised offers based on your spending habits and updates on the best current deals they have on offer. You can also shop directly from the app which makes life a lot easier as its very easy to navigate. Another thing I LOVE about this new app is the fact is shows you how much money you have stored on your advantage card. Before this app it was always a bit of a struggle to work out how much was actually on there and the only time I ever really knew was when I bought something in store and checked the receipt afterwards. Here's a little collage of what you can expect the app to look like. Pretty cool isn't it?! After telling me all about their amazing new app, Boots said they would send me a voucher so I could put it to use and see how much money I could save using the various offers available. I was obviously more than willing to get stuck into the challenge and when my voucher arrived in the post, I was straight to Boots like a woman possessed, pursing all the lovely makeup counters and having great difficulty in deciding what I wanted to buy. Seriously, I could spend thousands in that place. So as you can see from the photo at the top of this post, I got quite a lot of new things. I'm not going to talk about them all in greath length or I'd be here all day and this post is more to discuss the new app would be epicly long so I thought I'd just pop a list of the things I bought below with links in case you want to check them out yourself. I'll be doing full reviews of them all very soon too so keep your eyes peeled! In total I spent £125.38 but with all the apps, I got it all for £100 which is how much I had to spend on my voucher. Now although most people, myself included, could never go and spend £100 in one go, if you were to spend a similar amount over the course of a month or two, you could be saving yourself a fair amount of money as well as gaining lots of extra advantage card points. Before I began this little experiment, I had about £2 on my Boots card (it was a brand new card as I lost my old one) but now I have almost £10 thanks to all the offers featured on the app like ‘double points when spending over £20 in one transaction’ and various others. Points do build up quite quickly if you’re a regular Boots shopper and I intend to not spend a penny of mine until Christmas when I’ll be stocking up on their 3 for 2 gifts! Does anyone else do that? Will you be downloading the new Boots App? Have you tried any of the products I bought? lovely haul too! i have tried the revlon concealer and i love it! I am yet to buy and try the bourjois powder though, it looks so vintagey and everyone seems to like it. I've really wanted to try the No7 Cleansing water for a while now, definitely going to be using my £5 off No7 Skincare voucher on that! This app is perfect! I love boots advantage card, the points build up so soon. ahhh the app seems amazing! I definitely do the same as you and save all my points up for christmas!! 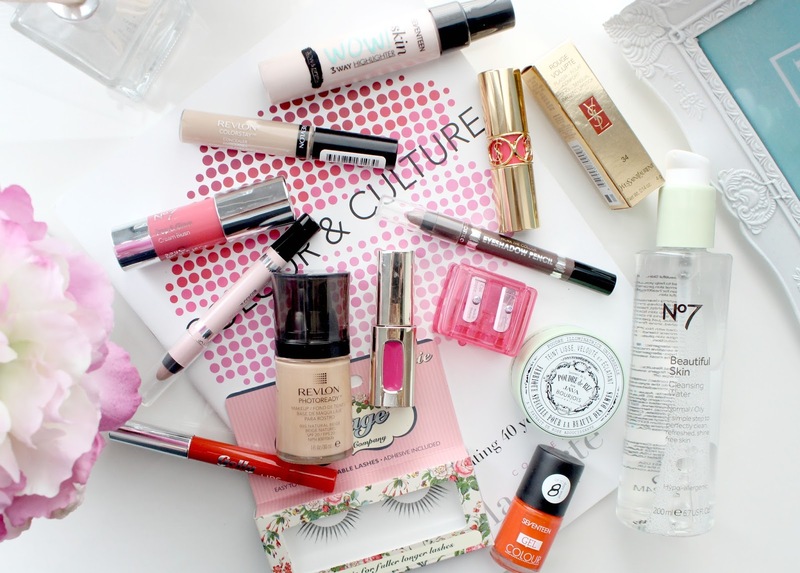 The app sounds good, especially for anyone who regularly buys beauty products! You bought some incredible stuff! So jealous! It’s so easy to spend over £100 in Boots! I love the sound of the app will download it now! I live in America so I've never been to Boots. I've heard lots of people talking about it though. This might be a silly question but is boots a drugstore? Like a place where you go to pick up your medicine and just random bits you need around the house? Sort of a mini shopping mart? We have CVS and Walgreens here but I always hear about Boots having high end products like YSL and I find it kind of insane because here in America you won't be paying anything past $20 for a drugstore product, I wish out CVS had YSL but then again I'd be broke... and also, a lovely blog post! If I only could shop at Boots *cries* They seem to have a great range of products! Definitely need to download the Boots app. And great picks, the Seventeen 3-Way Highlighter is amazing! Following your hair & beauty realted sites I am very glad to see it ,add with us on:- If you are worried about your hair style then you can try our different types of hair extensions which would make them more stylish. Like Wholesale Hair Extensions and Flip in Hair Extensions. It would not only make your hairs look extended but also give it a volume with the help of the best clip in hair extensions or Remy Clip in Hair Extensions. I got this app after reading your post but don't understand how I use the offers :( I wanted to use one and the app said it downloaded to my boots card so I thought it would just automatically go through at the till but it didn't, do I need to print out the offer at the boots kiosks or something? I just got this app and it's amazing! I love Boots and I'm having a spend up at the weekend so I can't wait to use my new app with the offers. Great post, and how lucky are you getting to spend £100! Dream come true! What a great app - i received an email about it but didn't download it... i will now though! ..... i would have defiantly got the YSL lipstick too!